Sheep were amongst the first livestock animals to be domesticated. Genetic analysis of different sheep breeds from Europe and Asia suggests that this was not one single event, but rather there were multiple domestification episodes. Initially sheep were reared primarily for meat, but archaeological evidence suggests that breeding specialisation for ‘secondary’ products such as milk and wool may have started as far back as 4-5000 years ago. Sheep are not native to Britain and Northern Europe, but were introduced about 6000 years ago. Archaeological digs of Iron Age settlements show that these ancestral sheep were short-tailed, frequently multi-horned and smaller than modern commercial varieties. These little sheep would, no doubt, have needed to be hardy in order to survive the harsh wet weather conditions of Northern Europe. 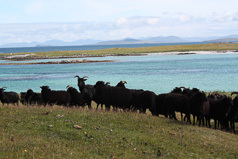 Recent genetic studies have revealed a marked separation between the great majority of today’s domestic sheep breeds and an ‘outer’ group formed by the Northern short-tail breeds such as Hebridean, Shetland, North Ronaldsay, Manx Loaghtan, Icelandic and Nordic sheep. 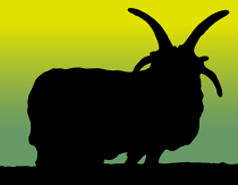 Interestingly, most if not all the breeds identified as ‘ancient origin’ by these genetic studies were already considered primitive on the basis of their physical traits such as darker and coarser hair (instead of a whiter woolly fleece), a moulting coat and the frequent presence of horns in females as well as males. Towards the end of the eighteenth century and into the nineteenth, small, thrifty sheep, known as Scottish Dunface, still provided the mainstay for subsistence farmers living in North and West Britain. However, gradually the agricultural revolution of the period, the development of new breeds of sheep and the clearance of many farming families from the land began to push the Dunface sheep onto the rocky outlying areas and islands of Britain. With government and landowners' support, these hardy sheep were replaced by 'improved' long-tailed breeds such as the Blackface and Cheviot. By the start of the twentieth century, these little sheep, which had been present in the region for thousands of years, had all but disappeared. 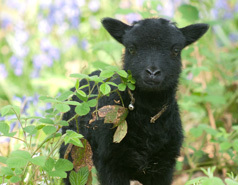 It is easy to understand how small black (or dark brown), often multi-horned, short-tailed sheep made attractive additions to the parkland of large country houses. Had it not been for the existence of these parkland flocks, the breed would probably not have survived into the mid-twentieth century. At this stage, they were often known as “St. Kilda” sheep. 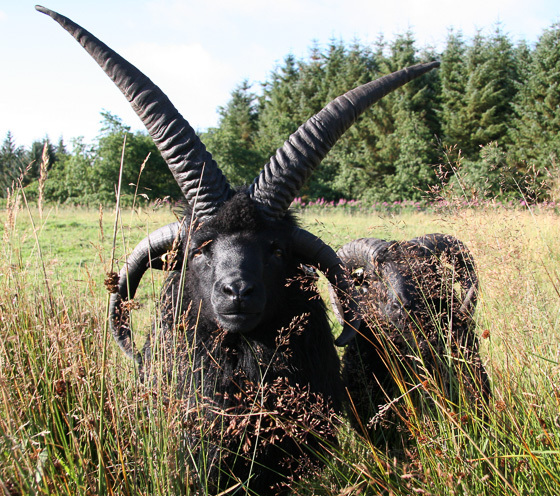 In 1973, the Rare Breeds Survival Trust (RBST) identified the small black, multi-horn sheep as a distinct breed in danger of extinction. At this point, only about 40 parkland flocks remained (about 300 animals in total) and there were none left in their homelands along the west of Scotland. Fortunately, these parkland flocks had been virtually feral, with little, if any, management, and so the characteristics of the sheep had probably changed very little since their arrival. 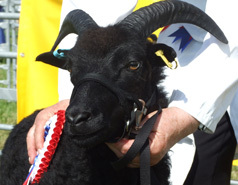 The RBST called the breed “Hebridean Sheep” and formalised the breed description for the first time. 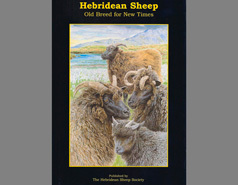 In 1994 the Hebridean Sheep Society was formed and it then tookover responsibility for the breed. Since then, the numbers of Hebrideans have increased greatly and today, th this wonderful native sheep can be found across the UK. It is recognised as the sheep breed to use to manage fragile ecosystems. In addition, it is proving to be a cost-efficient farm animal in more intensive farming situations as well as producing a range of exceptional high quality products derived from its meat, wool, skins and horns. 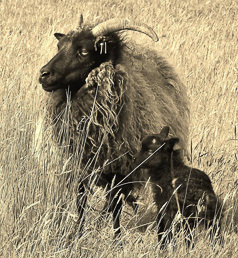 Over the centuries, Hebridean ewes have been selected by natural systems for hardiness in all weathers, ease of lambing, milkiness and good mothering instincts. 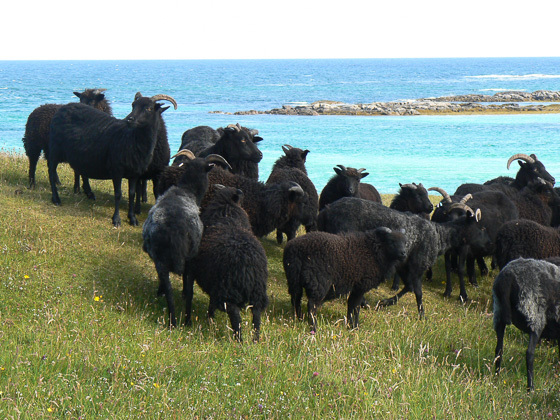 Today, when extensification provides the only viable option for many of our harsher regions, the Hebridean ewe is, once again, finding a role in European agriculture. Because Hebrideans have not been modified by artificial selection they remain a small, economically efficient breeding ewe with a surprising ability to produce quality cross-bred lambs.